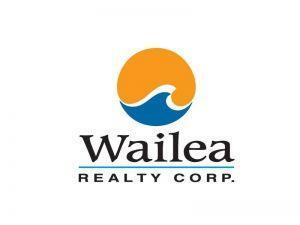 Live the ultimate Maui lifestyle! This premier beachfront property is now for sale on MauiÃ¢Â€Â™s North Shore. If you are looking for a true watermanÃ¢Â€Â™s paradise you have found it ~ kitesurf, surf, foil, SUP, windsurf, or swim from your own backyard ~ the water sport options are endless from this amazing property, located at the very end of a private road in Spreckelsville/Paia. The manicured yard with mature tropical landscaping spills onto the sandy calm waters of the sea. An exclusive white sand crescent beach directly in front of the house is only about 50 steps away, and is uniquely protected from the wind. The waves beckon for any water activity that calls to you, with surf off shore and the famous Maui trade winds. The 2-story home has 3-bedrooms and 2- bathrooms upstairs, with a home gym and gear storage on the entry level, both with independent decks, maximizing the panoramic views of the beach, ocean, West Maui mountains, and of course, the sunsets. Take it all in, as you enjoy a cocktail from the hot tub on the upper lanai. You simply do not want to leave this property, and you have no reason to! Pinch yourself ~ this is really available ~ time to take advantage of this truly rare opportunity. Sale is for 50% tenants-in-common ownership with a co-tenancy agreement defining this specific subject property and use. I am interested in 602 Stable Rd, Paia, HI 96779 (Listing ID # 381207).